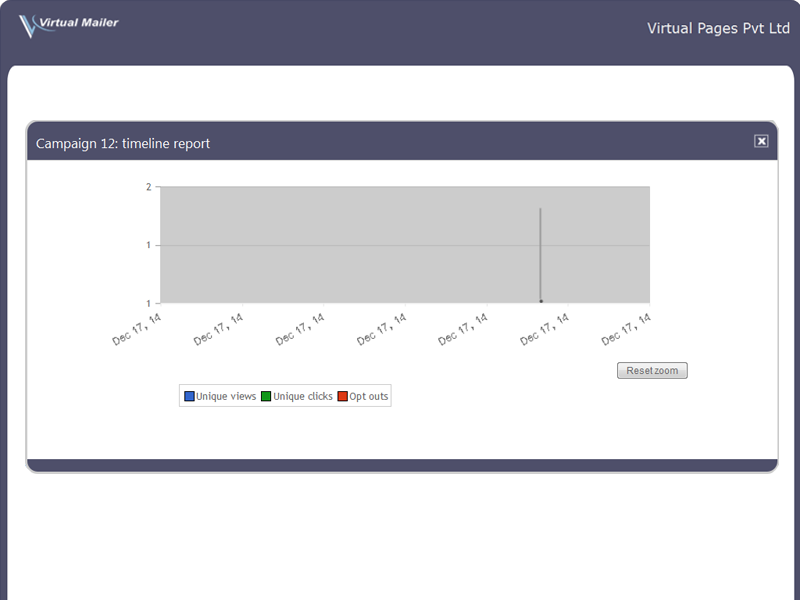 Vmailer is a web based mailing list and newsletter management application. You can import subscriber emails and other data, make groups of email in mailing lists, design rich personalized newsletters, start email campaigns, view real time email campaign reports and create follow-up campaigns list. 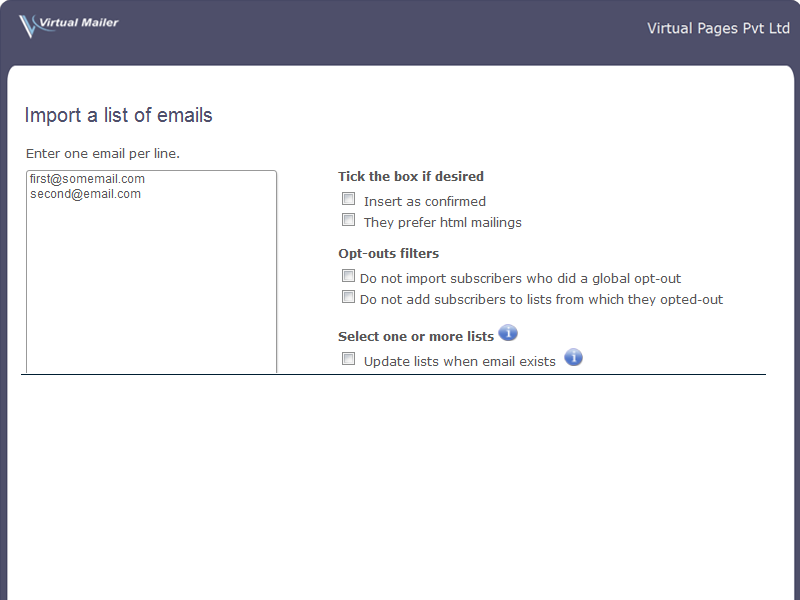 Vmailer is a complete emailing solution. - Unlimited newsletters, mailing lists and campaigns. - Send html, text, multi-part newsletters. 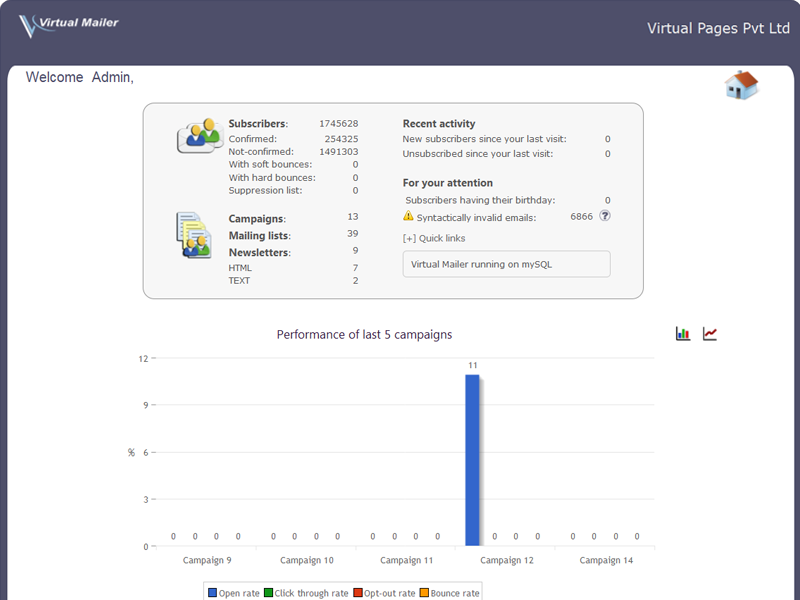 - Real time clicks/views email campaign reports. - Demographic & tracking filters. - Send a web page by the URL. 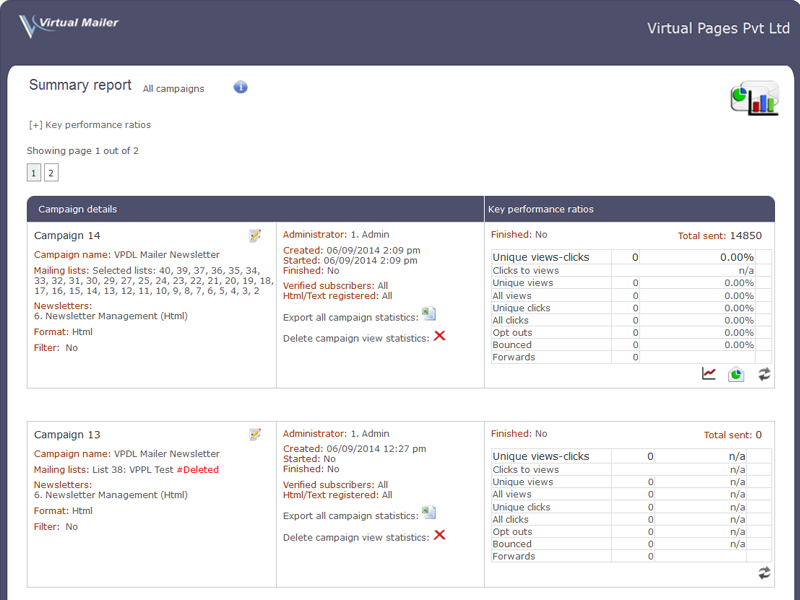 - A/B split list testing. 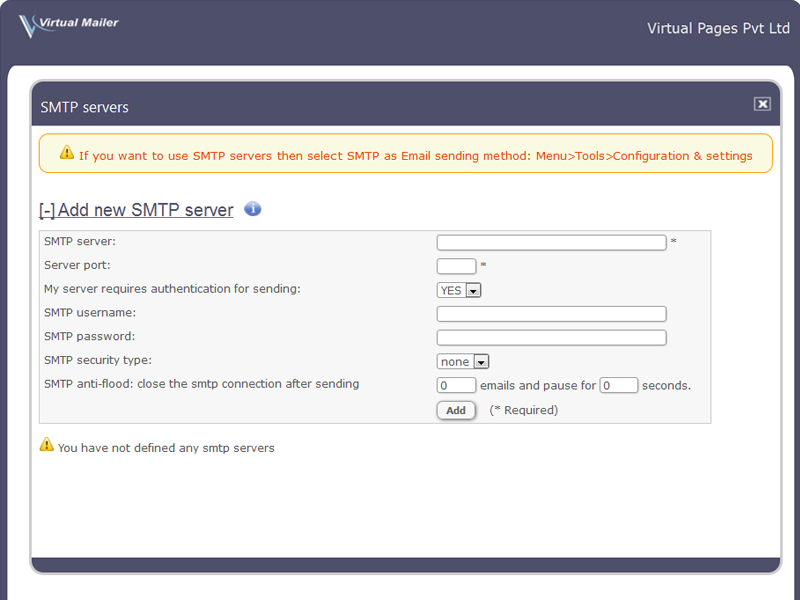 - Multiple SMTP servers. SMTP anti-flood. 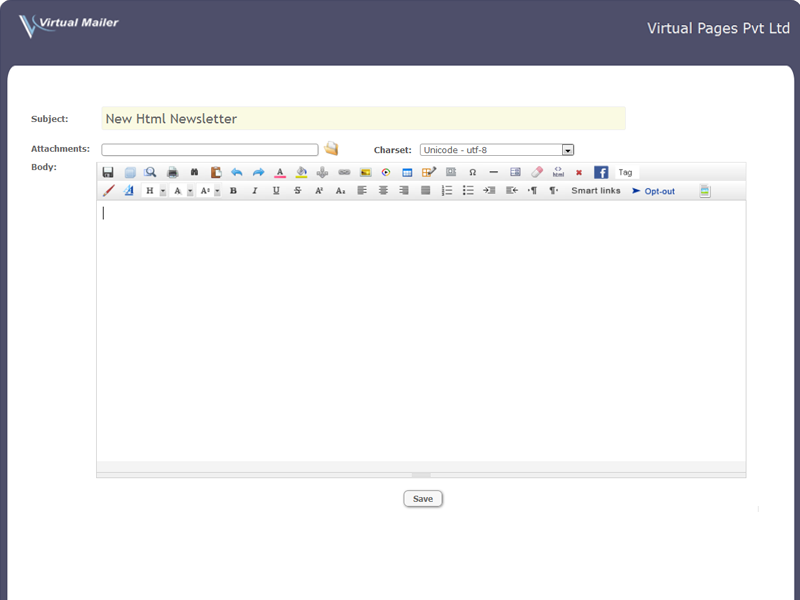 - Easy, powerful html editor. - Fully customizable subscriber landing pages and emails. - Many ways to import subscribers. 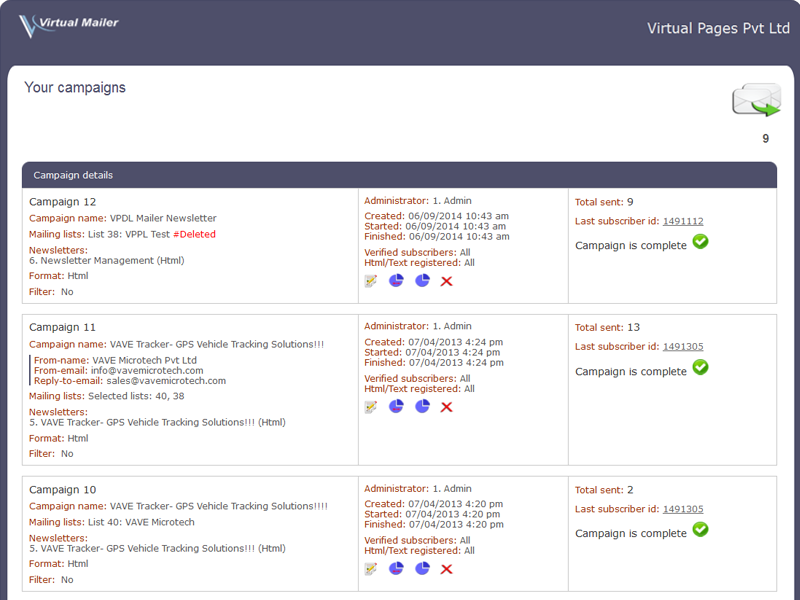 - Campaign tracking with Google analytics. 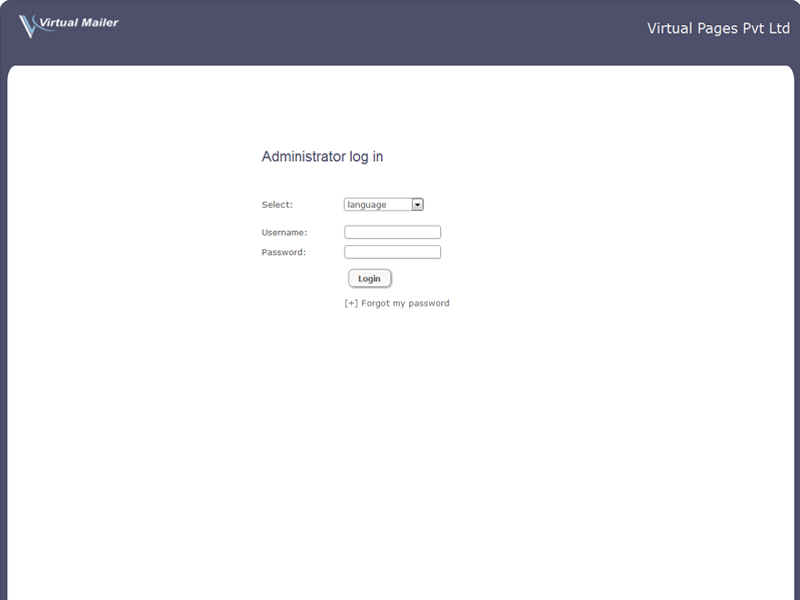 - Support for ssl and tls connections. Compatible with Amazon SES. - Ask a reason for opt-outs. - 3 different opt-out processes. - Newsletter rating (smart link). - Facebook-like button (smart link). - Click here to read this in your browser (smart link). - Forward to your friends (smart link). - Subscriber pages where they login and update their profile. Price: Customised pricing packages as per requirement.